Does your son/daughter enjoy playing basketball? Enroll him or her today in our instructional youth basketball clinics. 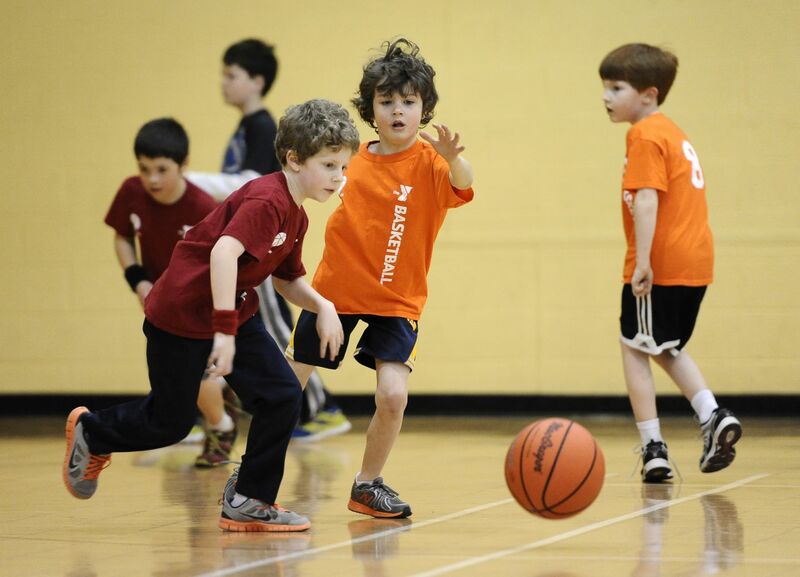 Children will work with experienced coaches to develop their basketball skills in an environment that encourages praise and positive reinforcement. This is a great place for your child to make new friends and continue learning the skills of basketball in a safe and fun environment. One 60 minute clinic each week will work on basic fundamentals and rules. Clinic will be supplemented with active games to keep kids moving and teach teamwork. Hoops are set at 6ft and junior basketballs are used. One 60 minute clinic each week will work on furthering the fundamentals and basic strategies of the sport. Small sided games will keep kids active and focus on teamwork. Hoops are set at 9ft and intermediate basketballs are used. The YMCA provides both Learn-to-Play (ages 5&6 in one group, ages 7-10 in another) and league options for school age children. For league information, please click here Learn-to-play is an instructional program designed to teach the rules, tactics, and skills and most importantly, HAVE FUN! Applications for financial assistance are due Friday, September 2. Scholarship application is here. For more information, please contact James Highsmith, Financial Assistance Coordinator, at jhighsmith@annarborymca.org or 734.661.8007.